If you are approaching your golden years and thinking about establishing an estate plan, you’ve probably at least given some thought to having a durable power of attorney. If you have done your homework then you know a power of attorney is a legal instrument designed to give someone else the power to make decisions for you, in the event that you cannot. 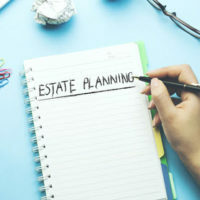 At Meyer & Spencer, P.C., our experienced estate planning attorneys are available to discuss options and guide you to the right options for your unique situation. A power of attorney may seem like a simple document to draft from a template, but depending on your own personal circumstances, they may entail far more than you would expect. One of the most important decisions regarding your power of attorney is who to select as your agents. With this in mind, here are 3 people you definitely should never name as agents. Now, to be fair, we list both healthcare providers and caregivers together, but these are technically different groups. Most states, New York included, there are certain legal presumptions about the invalidity of naming your doctor or treating nurse as your agent or healthcare proxy. In fact, New York law goes a bit further and states that hospital and nursing home administrators or employees may not be your proxy or agent. There are, of course, exceptions if you have a previous family relationship to the individual. Again, to be fair, there are probably some strong caveats with this one. However, as a general rule, you should not select an ex-spouse as your healthcare agent or agent under a power of attorney. If indeed there is no one else qualified to act on your behalf, it may be an option. It may seem strange that this needs to be stated, as most people generally dislike their exes. However, with time and age, many seniors may still trust and love an ex and want them to act on their behalf. However, there are strong presumptions and legal consequences that can make this challenging. Likewise, it could create hostility within the family. Again, there are exceptions, but as a general rule of thumb, you should never name your attorney as an agent for making decisions. There are many reasons for this, but perhaps the most compelling is the fact that a lawyer needs to be in a position of neutrality. Your lawyer can help you craft a power of attorney. Your lawyer can help you defend the document or enforce it before the courts. But you want a trusted relative or paid fiduciary to act as the actual agent who is making decisions on your behalf. Life happens, and we all lose track of time. Now is the time – no matter your age – to sit down and discuss a plan that is right for you. Give Meyer & Spencer, P.C. in Pleasantville, New York a call to discuss your estate plan today.